Gynzy is my favorite web based learning site because it has so many technology tools linked together on the same place. Gynzy has over 200 ready-made Core Curriculum lesson plans for Science, Math, Language Arts, Social Studies and Music. 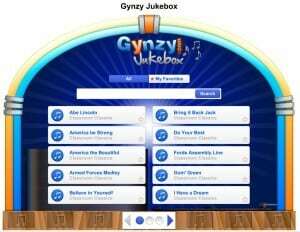 I teach music to Kinder through 5th grade, and Gynzy offers me a plethora of ways to tie in music to Florida State Standards to support all the subjects that students are learning in their own classrooms. Gynzy has a treasure trove of Interactive Smart Board activities to enrich my own music lessons based on Florida State Standards. 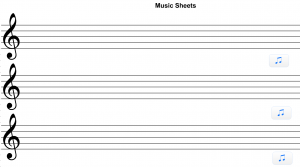 I like the fact that I can re-use content from other music lesson plans that I have written in the past, and use Gynzy on top of other programs. The feature I use to realize this is called the “Glass Plate”. I often use the “Extra” features to enhance my music students’ musical experience; I mostly like the “Jukebox” feature that plays Patriotic songs that are appropriate to sing for our school’s “Veteran’s Day Celebration” show. I love the format where the words are highlighted just before they are sung, much like Karaoke style singing. There are many more themed songs on “Jukebox” that could be used for holiday like Christmas and Halloween, but also, anti-bullying songs and songs to build character are integrated. My students love to celebrate their birthdays using the “Birthday Cake” feature that allows the student to pick out their own cake color and style and decorate it with gummy bears, chocolate and extra frosting. When they are finished the whole class can blow out the virtual candles at just the right time to start the “Birthday Song” and the release of dozens of virtual balloons! Each of my grades K-5 is learning a musical that is tied into Science and Social Studies about what they are learning in their own classroom. The Second Grade Musical is about “Life Cycles; How Plants and Animals Grow. One of their songs is about the life cycle of a butterfly. 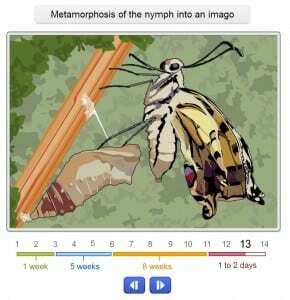 Gynzy has an interactive presentation activity under their Science tab, called “Metamorphosis”, that shows the timeline in weeks and pictures of an egg that changes to a caterpillar, then a cocoon and finally a beautiful butterfly. This presentation let students visualize the process, and helps them to create the musical. We are currently learning about pitch and melody in music and how they are both an integral part of music theory. I love the “Pitch, High-Lo” visual graphic that shows the musical pitch letters along the left side, and when the student touches the mimio pen to the graph and draws a line moving up and down, like a picture of mountains, they can hear a piano or saxophone playing the actual real pitches that they are drawing. 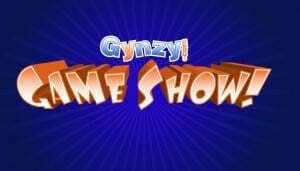 My favorite tool in Gynzy that is great for assessment of my students’ progress is called “Gynzy Game Show”. It is like the “Jeopardy” show on television. After the students acquire new knowledge, I can go into this program and make my own questions and answers, then save my work in their lesson plan folder. The following week, I will have a pre-made, fun, interactive white board game that can be played in teams, and I can assess each student’s mastery of the skills that they have learned the previous week. Everyone wins and we all have fun! Gynzy keeps adding new tools every month and has paired up with BrainPop, YouTube and Google to help make teacher’s lives easier and keep the students engaged and encouraging cooperative learning. If I have any questions or suggestions regarding Gynzy’s product, they are very courteous in getting right back to me with answers and the help I need. That is why Gynzy is my Go-To Technology Tool!